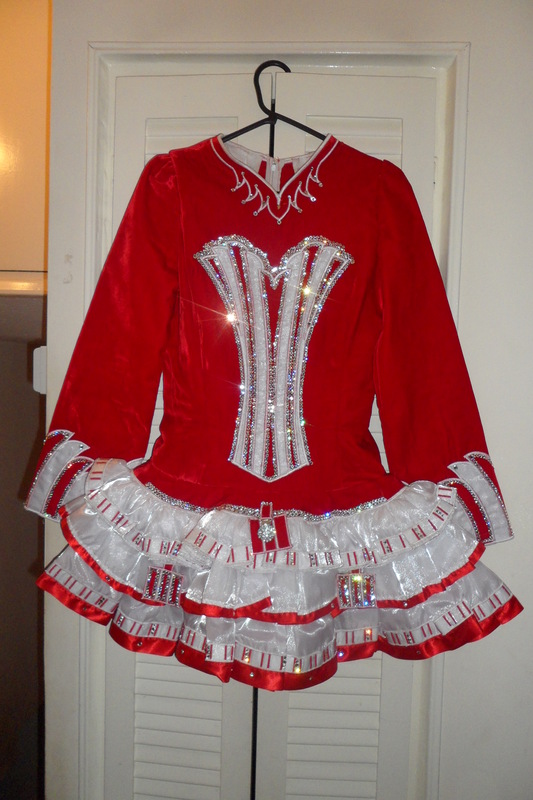 Stunning dress made by Loretta – Worn by Champion dancer aged 15/16. Dress is very eye-catching on stage. Made of lightweight red velvet with white satin and organza. Decorated with approximately 2000 Swarovski crystals. Dress is in excellent condition but has some make-up marks on the inside of the neckline and also some marks on inside of cuffs. However these can not be seen when dress is on dancer. 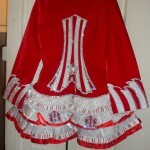 Includes brooch on cape, kick pants and headband also decorated with Swarovski crystals. If you require more photos please contact me. 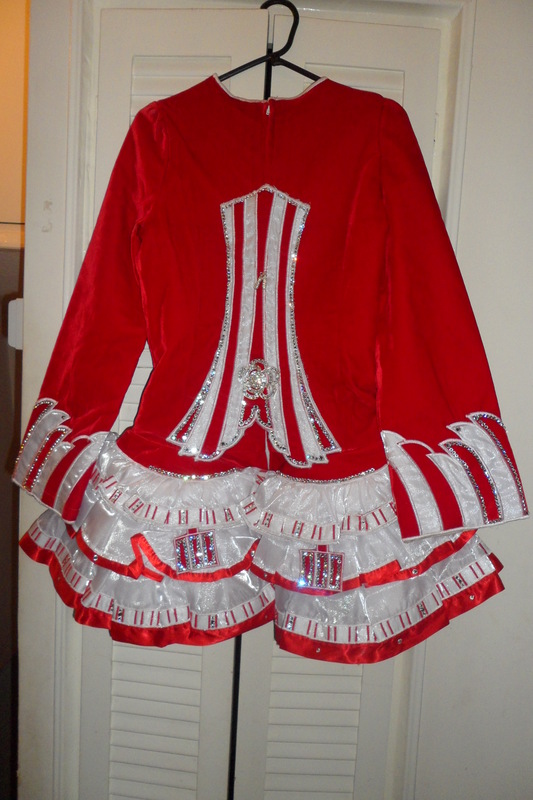 There is about half an inch to be let out on the skirt and roughly an inch on the bust and waist.